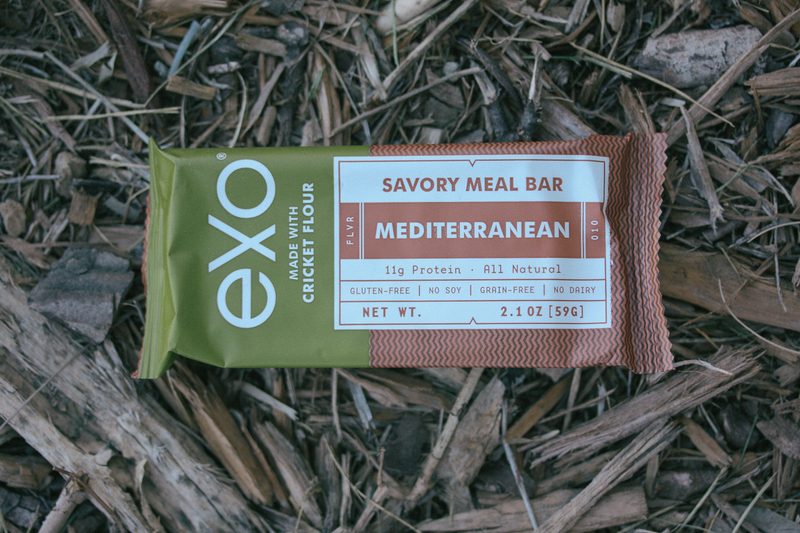 What would you do if you got an email from your favorite cricket bar company telling you that they’ve made some new flavors that have less sugar, are more savory and still have tons of crickets? You order a whole box of course. Well, I’m not sure you would do that but that’s what I did. Now I’ve already written a bunch about these bars in the past and even compared them to other protein bars so this review won’t be as in depth because these bars still contain all the goodness of their original flavors, nutritionally speaking, but have slightly different ingredients. You can read my other review here. 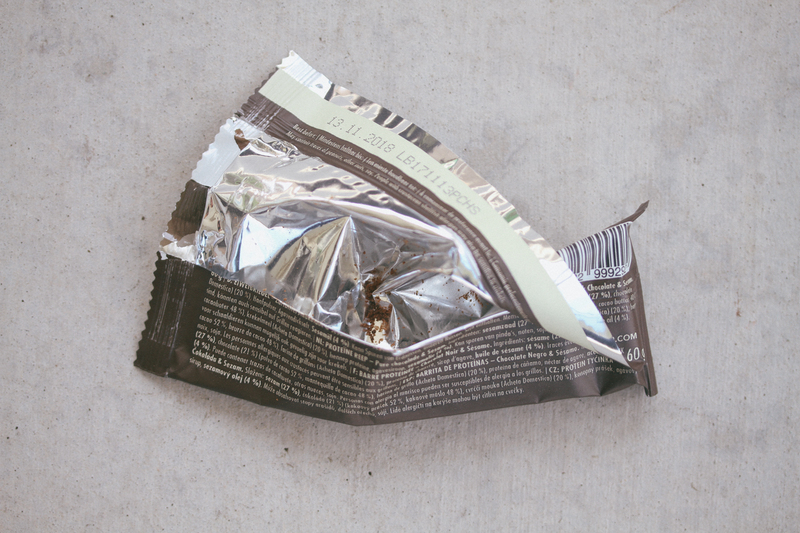 I do love that Exo went down this road because it really was the only way to improve an already amazing protein bar. 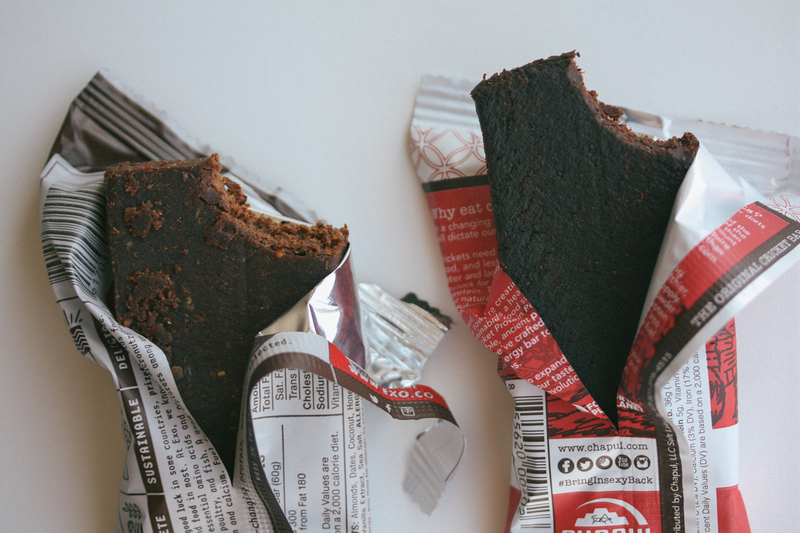 In the past we already discovered that they had a good amount of fat, which is great, a good amount of protein, which is also great, but they still had about as much carbs as a banana – which isn’t bad but if you’re looking for a low carb protein bar solution for your morning, their existing flavors might of not suited you. 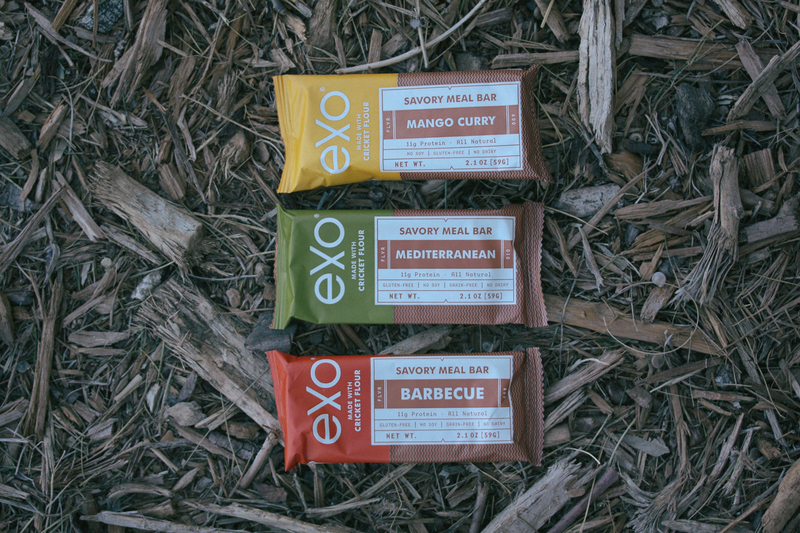 Well, these new savory flavors should suit any person following a Paleo low carb diet. 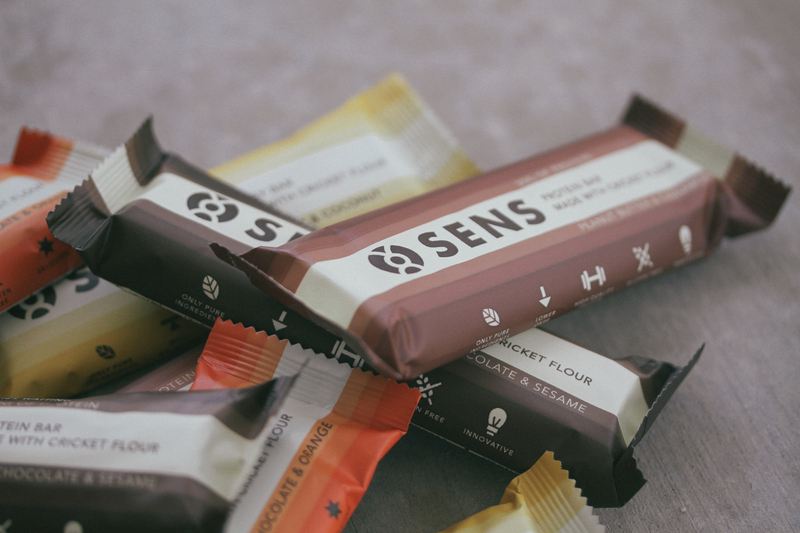 With only 5g–6g of sugar, these bars fit the bill perfectly. Now let’s get into the 3 categories: Nutritional Profile, Affordability and Taste. Let’s just take a look at my favorite of their new flavors: Mango Curry. All of their new flavors only have 5g–6g of sugar and 11g of protein. They are all more or less the same fat/carb/protein ratios. Ingredients: Almonds, Chicory Root Fiber, Cricket Flour (Acheta Domestics, Gryllodes sigillatus), Tahini, Coconut, Mango, Prunes, Puffed Rice, Coconut Milk Powder, Tamarind, Sea Salt, Natural Mango Flavor, Spices. As we can see there is still a good amount of fat and protein and they slimmed down the sugar from 13g (Cocoa Nut) to 6g. This is great especially if you’re trying to avoid a glucose spike after one of these bars, though I doubt the alternative of 16g sugar will give that to you. Nevertheless it’s nice to have an option of less sugar in one of these bars especially when their competitor Chapul has 25g sugar! This bar is the only one of their new flavors that has puffed rice, which isn’t a problem for me digestive wise. I occasionally eat white rice so rice isn’t a problem. The puffed rice does add a slight crunch to the bar which is a nice texture addition. 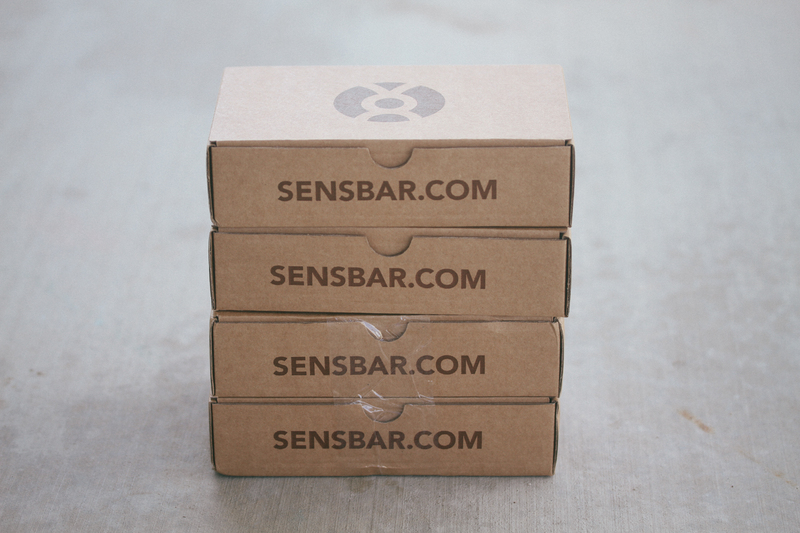 Right now you can get a variety pack for $36 that contains 12 bars, 4 of each new flavor. These bars are still brand new and they may be refining the flavors before they put these in their regular store. So there is no subscription option yet. I’m sure there will be a subscription option when they nail these down as final flavors. 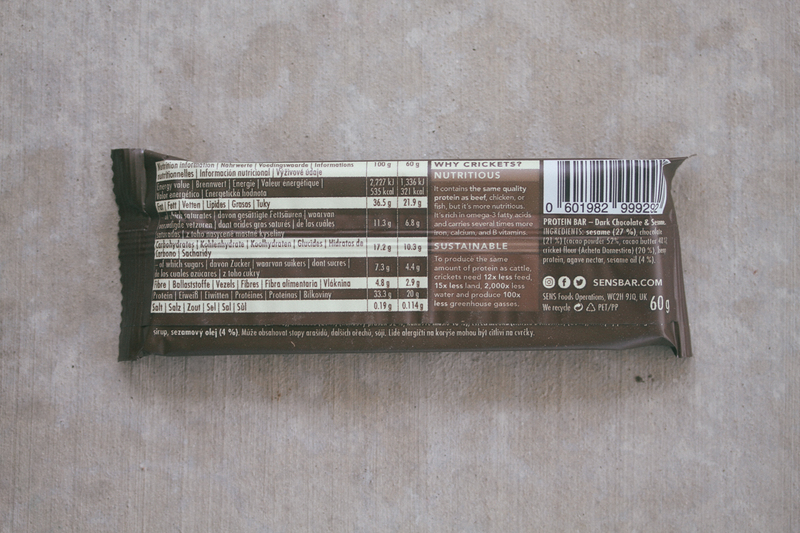 But even at $3 a bar, that’s not that bad for a whole food bar that’s low in sugar and high in fat. Perfect for sustaining you through a day at Disneyland or picking you up in the morning after or before a workout. Now this is where things went a little south for me. I wanted to love every one of these bars because by nature I love salty things over sweet things. 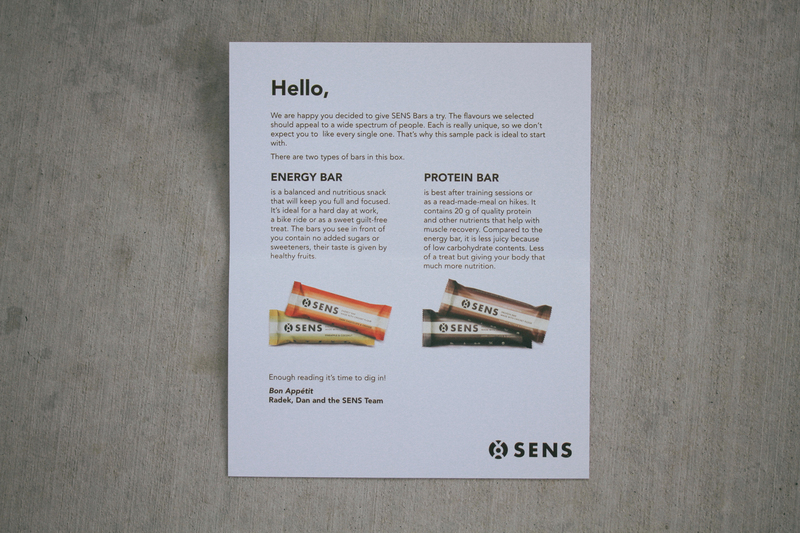 So the idea of these bars sounded really good. As I kept trying each flavor though, I began to dislike each one and always compared it to the one I actually did like which was the Mango Curry. Let me explain. This was the first one I tried and I loved it. The texture was great and the saltiness and slight sweetness was spot on. It had a very distinct meaty flavor. I don’t know how else to describe it other than that. It was just a taste that was almost beef jerky like in taste. This bar was a win in my book. This was the next bar I tried and I didn’t love it as much as the Mango Curry. Don’t get me wrong, it wasn’t bad tasting or anything – It just wasn’t as good as the Mango Curry. It was almost too subtle in flavor. Still contained that meaty flavor but lacked the texture and slight spiciness of the Mango Curry. This was the last one I ate, and I have to be honest – It was terrible. 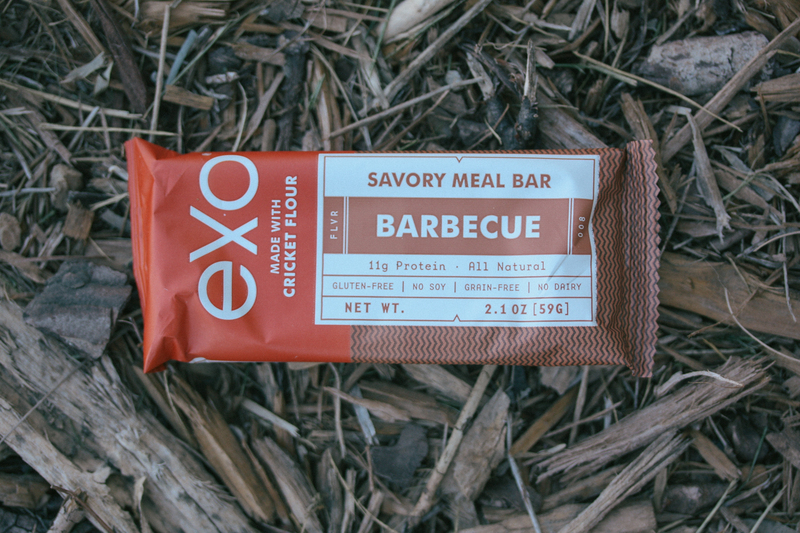 Not because of the crickets, but because of the actual barbecue flavor. It was almost overwhelmingly barbecued flavored. It was a nice flavor of barbecue but it was just too much of it. I literally had a hard time finishing the bar, which was a bummer because this was the one bar that I wanted to love. 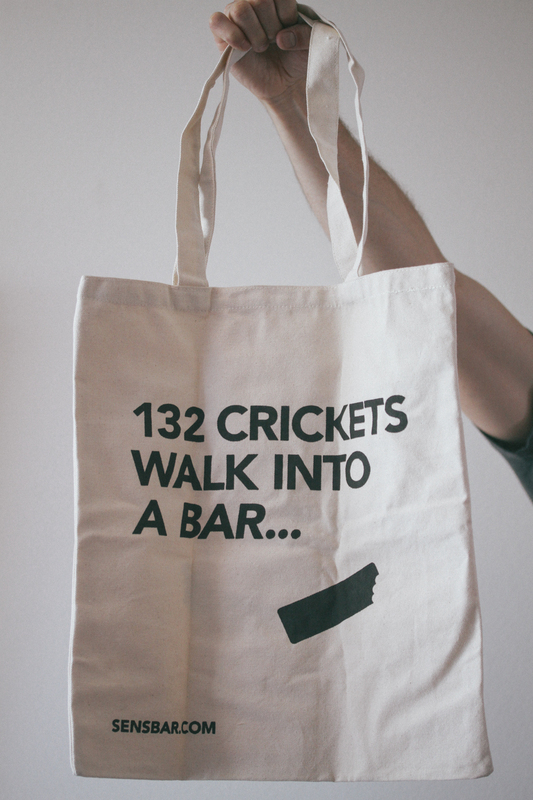 It just sounded so perfect – barbecue crickets. Hopefully they can dial in this flavor before it hits prime time. So I know I didn’t love all the bars, but that’s ok because all I needed to love was just one flavor, like how I love the Cocoa Nut one so much. 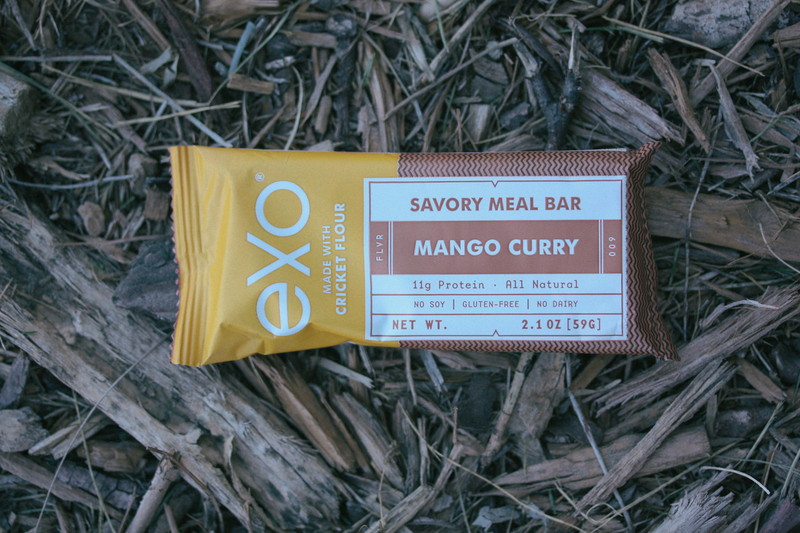 Now I have the perfect low sugar companion to my Cocoa Nut bar – Mango Curry. 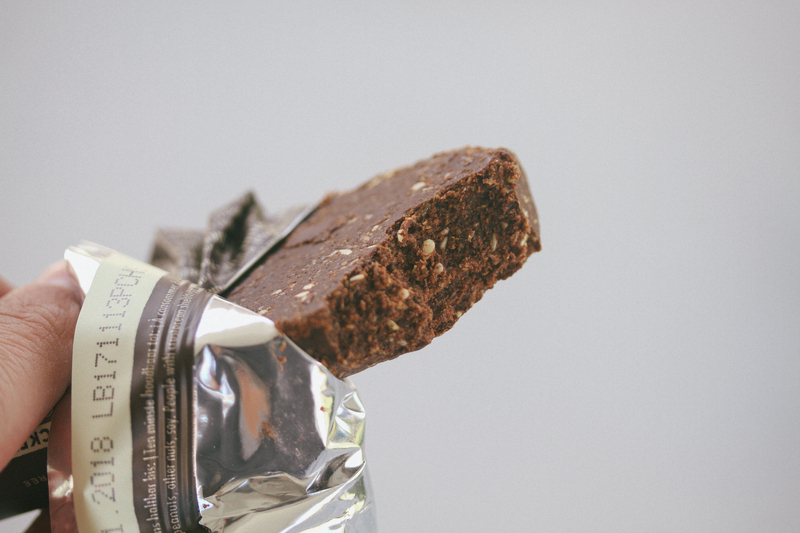 Once again, thank you Exo for making great protein bars with real food. Breakfast is hard. Getting up early for work, packing lunch, getting ready and out the door can be a hinderance to getting a good serving of fat and protein in your belly in the early hours of the day. On some days it may work to just skip breakfast since intermittent fasting has been shown to have a multitude of health benefits. 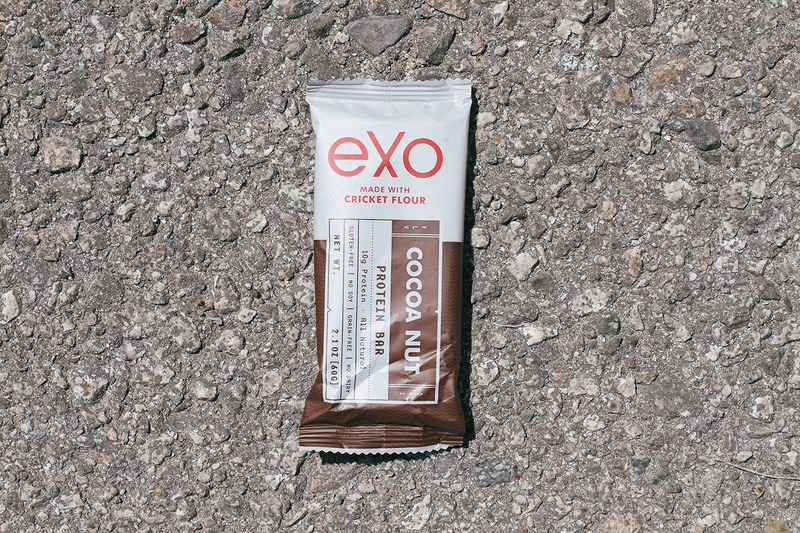 However, for those days that you want to get something Primal in your belly that’s also filling and tastes good, what cricket flour protein bar will do the trick: Exo or Chapul? Exo started out on Kickstarter where they raised $20,000 in 3 days. 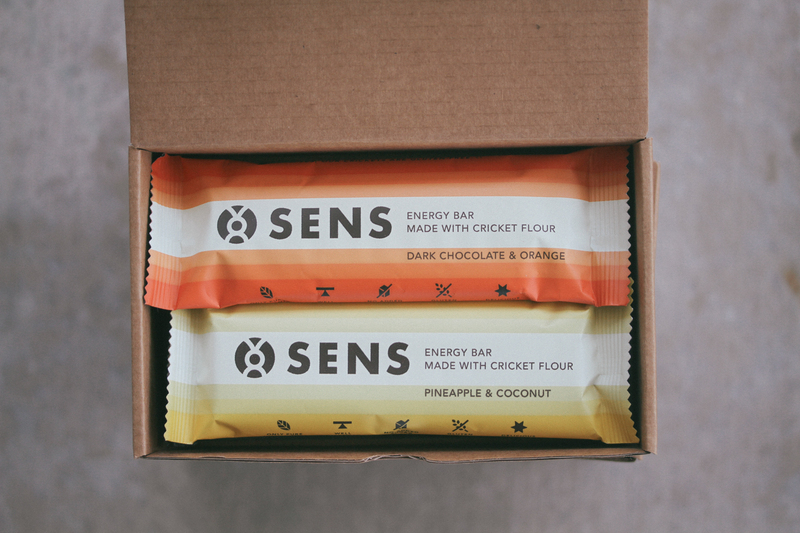 I originally backed them and got my first box after they finished production and I have continued to order them every month to have a quick go to Primal breakfast or snack. 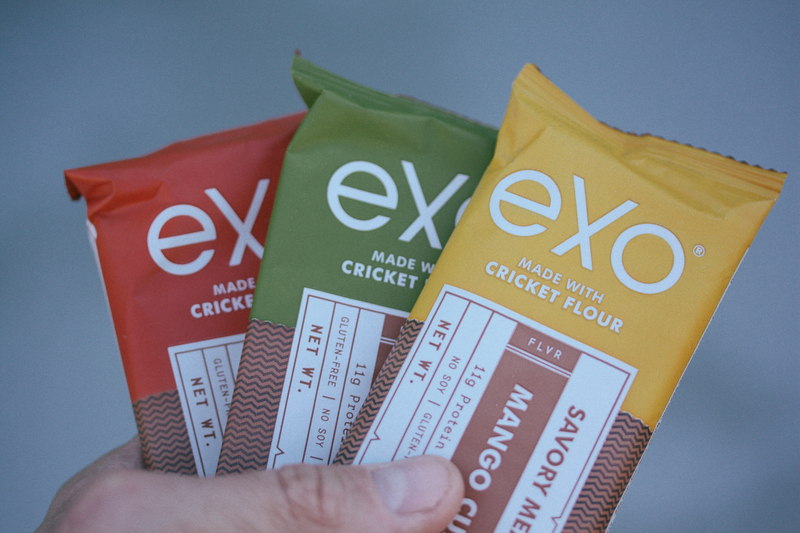 The kicker for this bar is that the protein isn’t whey, pea or soy – it’s Crickets. They raise crickets, euthanize them and then pulverize them into a flour. So no you won’t have a cricket leg sticking out of your bar. They are very similar to Chapul that showed up on Shark Tank and backed by Mark Cuban. Being the avid Shark Tank viewer that I am I couldn’t wait to get my hands on these bars to compare them to my beloved Exo Cocoa Nut bars. 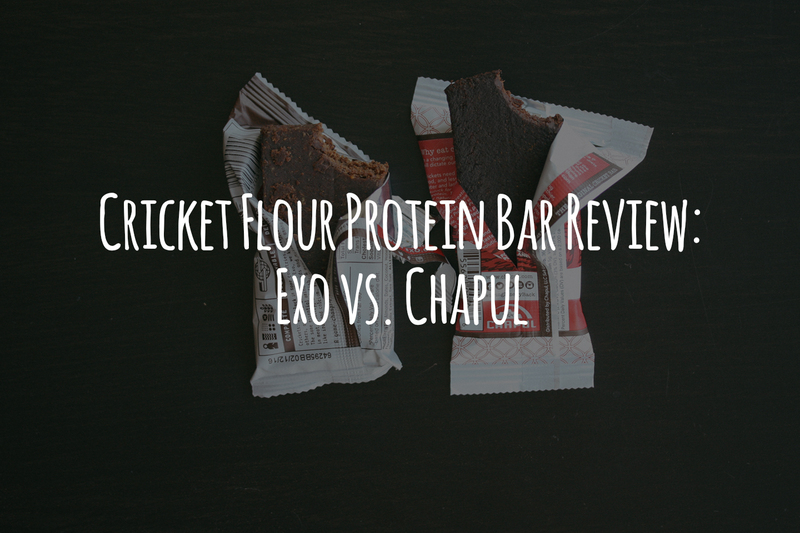 Exo and Chapul both actually get their cricket flour from the same farm in Canada. You can read more about them in this really insightful article on The Verge. But how do they fit into your life? Should you buy them? Let’s take a look at 3 key factors: Nutritional Profile, Affordability and Taste. Now, I inevitably have to compare Exo to Chapul since they both share the same protein source and are marketed so similarly to one another. When you sit down and have to decide which bar to buy, what nutritional factors should you look at? If you’re following a low(ish) carb/high protein Primal diet, Exo wins when taking a look at the fat, protein and carb profile. I love how Exo doesn’t seem to be afraid of fat and calories. They made a bar that will sustain you through the morning or an afternoon at Disneyland where your food options consist of churros and corn dogs. Ingredients: Organic Dates, Cocoa, Chapul Cricket Flour (Brown Cricket, Acheta Domestica), Organic Espresso Roast Coffee Beans, Cayenne. We see a few things here. Chapul is much higher in carbs, much lower fat, lower protein and more sugar. They both share, more or less, the same omega–3 fatty acids, iron and calcium contributed by the crickets. 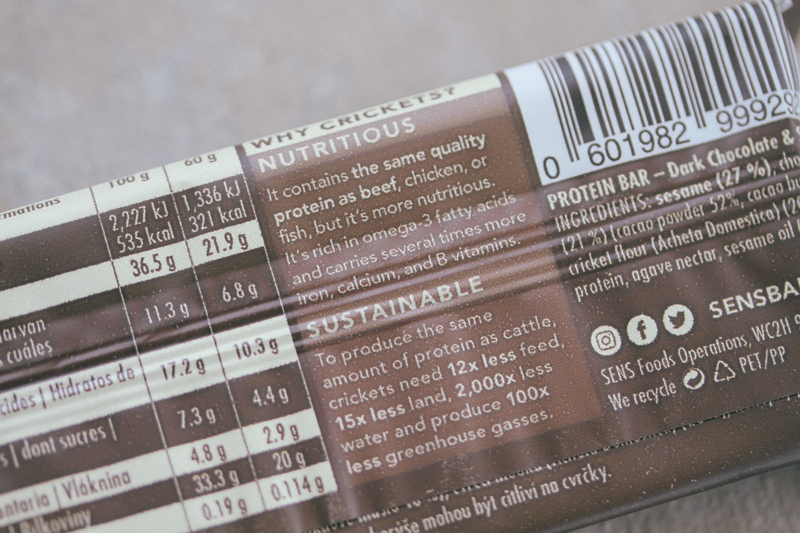 I think the answer is pretty clear when comparing the nutritional profile of both bars. Exo has, by far, a more superior nutritional profile when considering we, Primal folk, are looking for something with enough fat and protein to sustain us. Chapul has very little fat since there are no nuts and coconut. Therefore leaving the Chapul bar a very high carb snack that will leave you with with a sugar crash quickly after consuming it. Now yes, neither of these bars are low carb by any means. But I still think Exo is a nice quick snack or breakfast choice every once in awhile because when you compare the profile it’s like eating 2 scrambled eggs in 1T butter (22g fat, 2 carb, 12g protein) and a small banana (.3g fat, 23g carb, 1g protein). We need the fat! 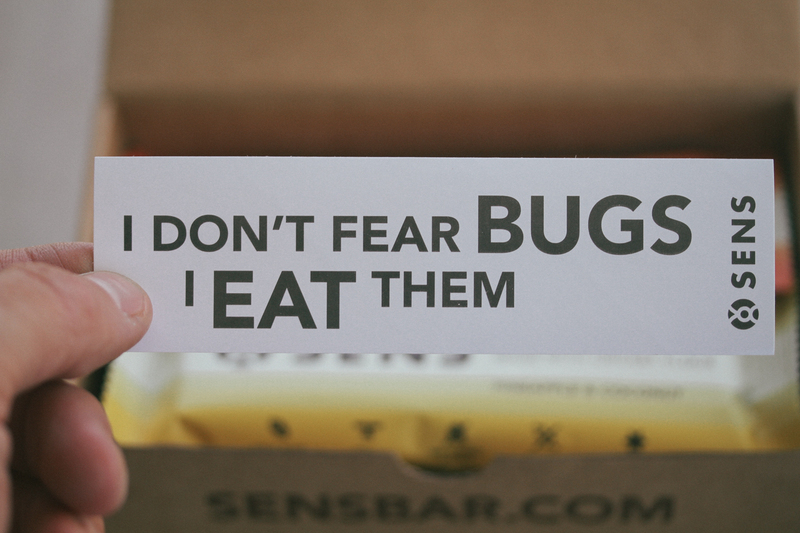 Otherwise you’re really just eating a cricket candy bar. When looking at both I feel Exo is the winner in all three categories (fats, carbs, protein) lending to a more filling and satiating snack. 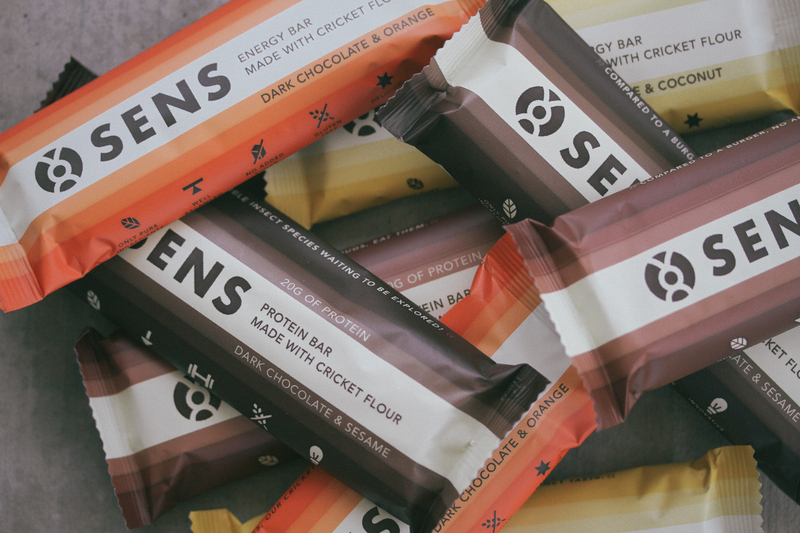 It’s important to look at how you can get the most bang for your Primal buck when purchasing one of these cricket bar brands. If you’re spending money on something to fuel your body, you better choose the best option that has the optimal fat, carb and protein profile – while being affordable. For that I would declare Exo the winner again. 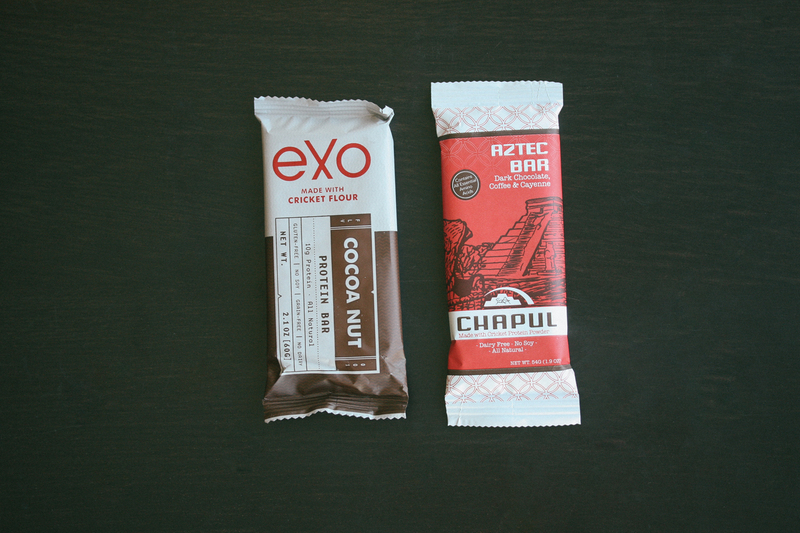 It’s crazy to think that Exo comes in cheaper but maintains more fat and protein per bar than compared to Chapul. Now at almost $3 a bar, these aren’t cheap. However, they’re still a better option than all the other “Nutrisugar” bars that are filled with carbs and likely no fat and protein. So are these affordable? Depends on your budget and how often you eat/need them. I don’t suggest replacing eggs and bacon with these bars, but they are very handy when you’re in a pinch for time and you don’t want to resort to pastries or doughnuts a coworker brought to the office. Lastly and possibly the deal maker or breaker is how these bars actually taste. Now this is totally going to depend on you, you may actually have to buy both and taste for yourself to determine which flavors you like and don’t like. Not everyone loves the taste of this bar though. I’ve let a bunch of people at my work try it and they say it’s dry and make a face when eating it. Whether or not they don’t like it is really hard to distinguish since they’re still probably stuck on the fact that they’re eating crickets (which you can’t distinguish). 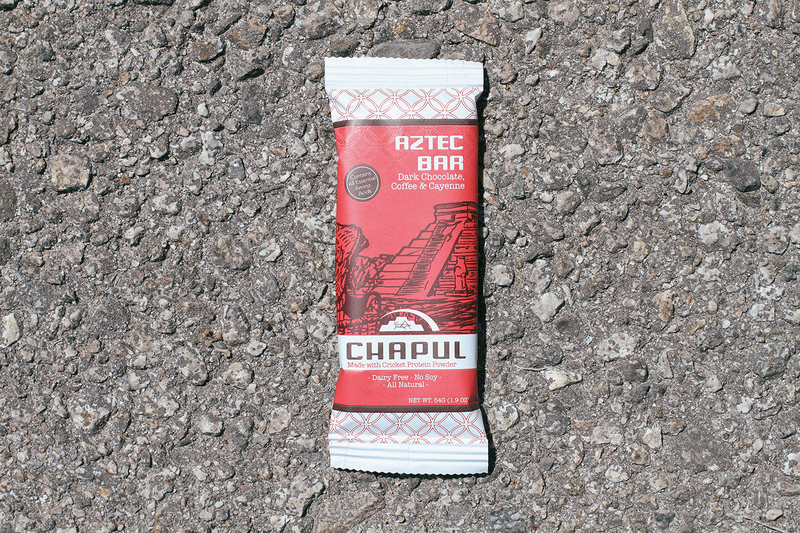 Chapul has a few other flavors which I’m sure taste pretty good also, but I would still have to ask myself if it’s worth all those carbs – for me the answer is no. I’d rather eat a Larabar because that way there’s actually some fat going on. In the end the taste wasn’t terrible but I still prefer the taste of the Exo Cocoa Nut bar. I think the answer is pretty clear. Exo has a far better nutritional profile, are more affordable and tastes better. 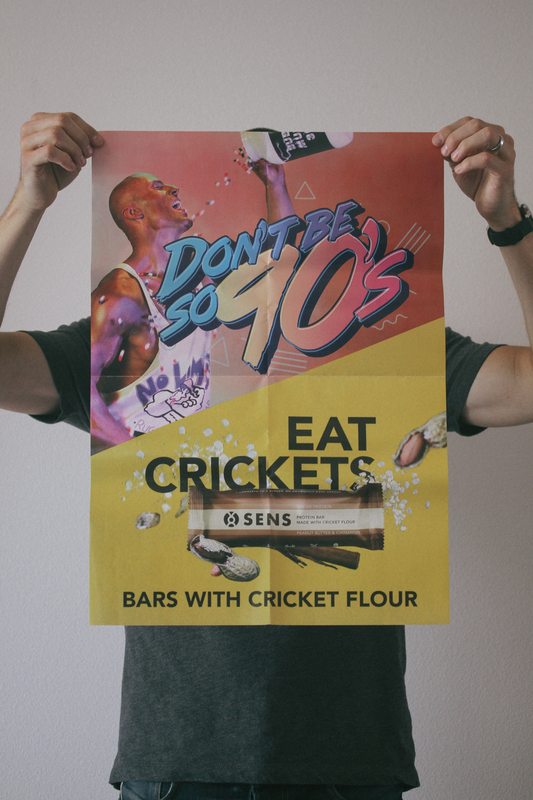 I love these bars and am glad I originally looked past the fact that they were made out of crickets. Hopefully you can look past that too and pick some up! *After you figure out which flavor of Exo you like I suggest you sign up for a subscription.